In an ongoing effort to support standardization of quality controls, G Zero is now in the process of certifying its business and operational practices using ISO 9001, 2015. MERIDIAN, Idaho - Oct. 19, 2016 - PRLog -- Completion of the certification process will enable G-Zero to demonstrate its adherence to industry best practices for quality management and give customers a more transparent view of operations.This is a critical step to support the demanding needs found in the CNC machining industry. The ISO 9000 family addresses quality control through the development and use of industry recognized standards. Companies that achieve certification use documented best practices in quality management to ensure consistency and performance in their chosen industry. Standards are based on quality management principles and are designed to help companies manage costs, improve customer satisfaction, access market share and reduce environmental impact. The competitive nature of emerging markets demands documented standards and best practices to ensure competitive advantage. This includes use of proven industry standards like ISO 9001, 2015 to support work flow consistency and maximized efficiency. Compliance and quality management programs help companies reduce waste in finance, personnel, and resources translating into better efficiencies and costs savings passed onto customers. "Using standards like ISO, in the CNC machining industry, give my company a competitive advantage," said Dave Hannah, President of G Zero. As a smaller company, adopted best practices and operational standards can help open the market to compete on a larger scale providing customers transparency into strategic operations. As a rule, strategic supply chain diversity and competitive pricing are necessary for success and sustainability. ISO certification is a critical step for growing companies to demonstrate their best practices and support rapid growth. With this certification, G Zero is poised to leverage its production capabilities and growing customer support platform to create strategic partnerships to penetrate emerging markets. 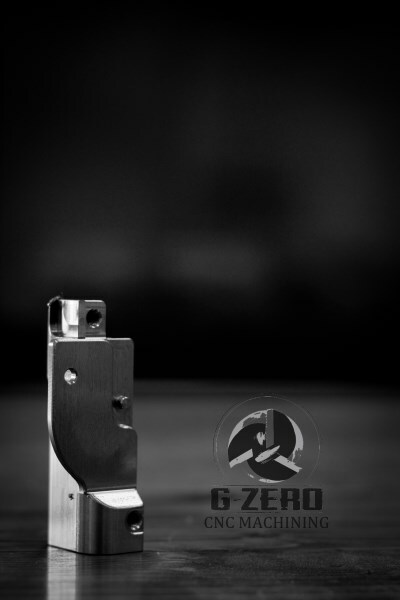 G Zero is a complete CNC machine shop with state-of-the-art equipment and all the resources a company needs. We offer our customers a facility that can manufacture a single part, production runs or produce a full assembly. Our facility can manufacture all types of material from hard metals to plastic and is capable of holding the tightest of tolerances in a production environment. We strategically partner with our customers to foster mutual growth, maintain quality, and enhance customer service. For more information or to request bids please visit our website, http://www.GZeroOnline.com.